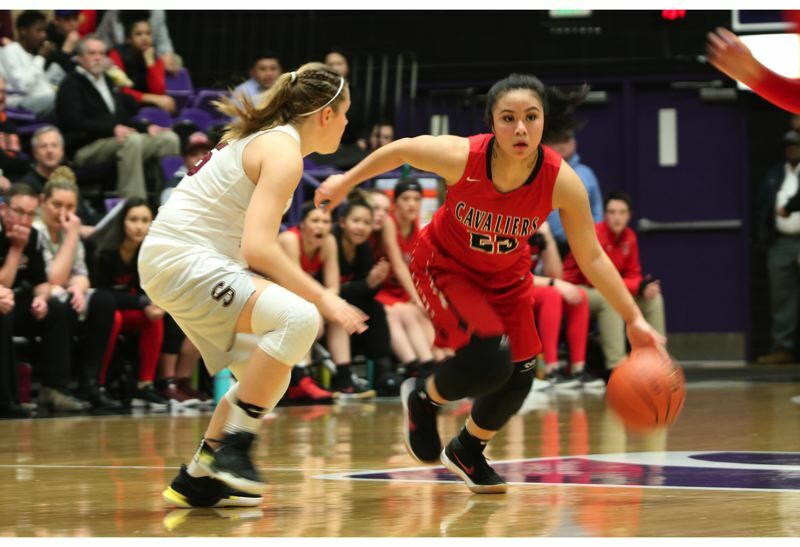 Here are some photos from Wednesday's Clackamas-Southridge game in the quarterfinals of the OSAA Class 6A girls' basketball tournament at the Chiles Center. Kaylen Blair came off the Southridge bench and scored 13 of her game-high 16 points in the second half to lead the defending state champion Skyhawks to a 57-42 win. Southridge went on a 20-4 run that turned a tied game with 1:40 to play in the third quarter into a 47-31 l4:25 lead with 4:25 to play in the fourth.